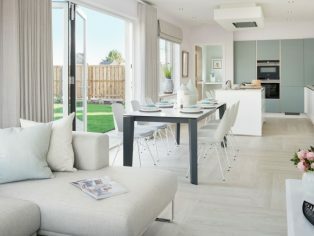 When it comes to spectacular show homes, CALA Homes excels in creating exquisite abodes designed to inspire the senses of prospective new homebuyers with an eye for design-led interiors. 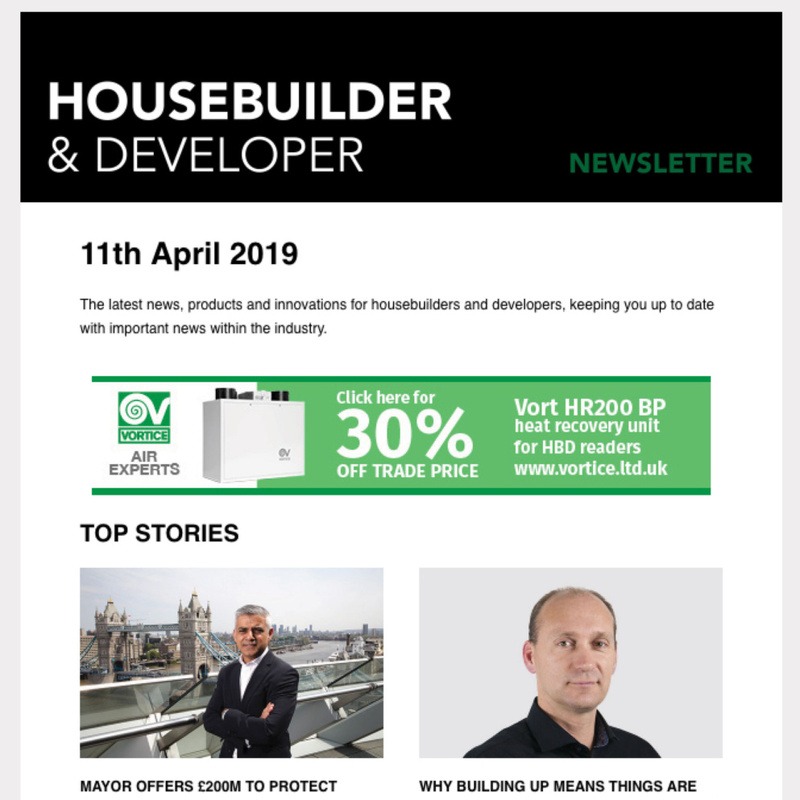 Recently unveiling a duo of striking show homes at the vibrant Milltimber Manor at Oldfold Village, the luxury housebuilder has captured the exclusive essence of the sought after development while underlining CALA’s reputation as the UK’s most upmarket builder. Set within the idyllic suburb of Milltimber, homes within the development have been created to mirror the character of the existing locale through attention to detail and considered design, which both maximises space and provides every convenience of modern living. 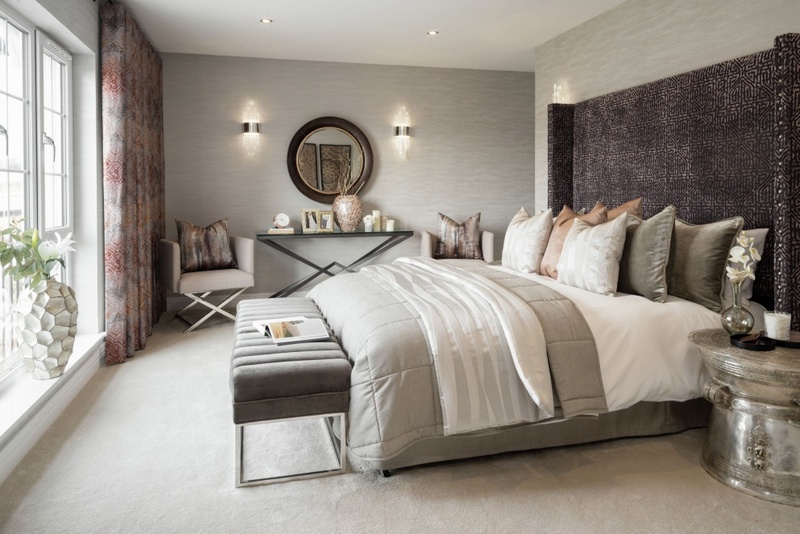 Perfectly illustrating the beautiful quality of design and life new homebuyers can come to expect at Milltimber Manor, both The Moncrief and The Lowther show homes form part of CALA’s prestige new Light and Space Collection which focusses on enhanced space and considered design. Styled by Eileen Kesson of Envision interior design, both show homes feature CALA’s renowned reputation for quality and luxury which oozes both elegance and opulence on all levels. The larger of the two new show homes, The Moncrief, has been dressed to impress. Combining a mix of rich, warm tones and beautifully chic furniture, the sumptuous design is the perfect showcase for the five-bedroom home. An air of sophisticated elegance has been created using a sand-based colour palette with undertones of brushed bronze, toning amber and cognac accents blended to create an atmosphere of warmth and welcome. As guests enter the property and move through the grandly decorated hall, the living area sets the tone in this abundantly spacious home. A bespoke fireplace features within the lounge, anchoring the contemporary room while drawing attention to the centre of the living area. Carefully incorporating elements of the special stone finish used with the kitchen of The Moncrief, the fireplace provides a focal point which resonates again and again throughout the property to create a harmonious blend. The architecture of the fire, combined with the use of chrome and black nickel, hints at an urban theme which has been carried throughout this plush home. A natural coloured sofa and minimalistic furniture creates high impact opulence while the statement geometric style table lamps and wall lights add a stately edge with the finest of soft furnishings creating a luxe look. Thick lavish drapes frame the room, blending seamlessly with the patterned wallcoverings which include dark granite undertones. Three large windows allow scenery from the beautiful outdoors to pour into the room, giving visitors a taster of the life on offer at Milltimber Manor. Guests will be instantly impressed as they move into the generous kitchen/ dining area with impressive bi-fold doors leading to the landscaped garden. The stylish kitchen exudes a distinctive sense of class with a rich mix of dark wood combined with stunning charcoal stone worktops, blending beautifully with the fully integrated appliances. Acknowledging the exclusivity of the sumptuous five-bedroom home, the kitchen is very much at the heart of the home within The Moncrief. Space and sophistication welcomes guests as they move into the kitchen’s living area which is accentuated with copper drop-down lighting to create a practical yet ambient feel. The eye-catching flooring has been custom-designed using a weave of platinum and champagne creating an abstract focal point within the room. Offset by dark olive and sable accents, an impressive 10 seater dark wood dining table features a subtle inlay detail. Visitors will find more interior delights as they move upstairs to the elegant master bedroom. Luxury silks, shard crystal wall lights and an impressive wrap-round velvet bed creates a sultry feel within the expansive master. Rich terracotta silk drapes complete the room which also boasts a spacious en-suite bathroom. Moving to the second luxury five-bedroom home, The Lowther’s focus is minimalistic and bright, underpinned by clean spaces and extraordinary design. 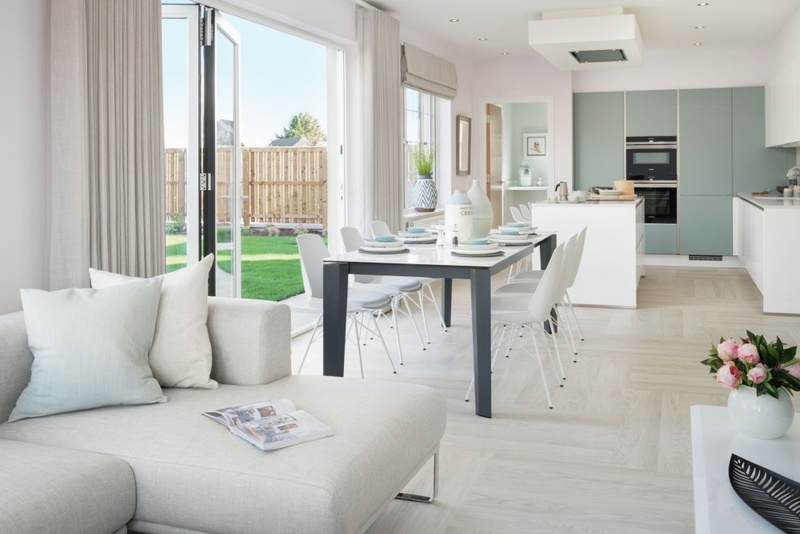 Featuring a palette of chalky whites, pale blues and azure greens – contemporary living is very much the focus of The Lowther show home, while remaining in-keeping with the development as a whole. Pale ash flooring throughout the ground floor in a distractive cross weave design creates a new ‘herringbone’ effect that is truly unique to the show-piece home. A stunning linear fireplace in a minimalist design offers a stylish and welcoming focal point while hinting at the vast space on offer. Partnered with a large corner sofa and furnished in pale oak and white, the living area is a shining example of the graceful look that can be achieved in this fantastic family home. Moving in to the kitchen, a cool and sleek finish has been achieved using a unique matt finish with accents of Swedish blue which has been carried throughout the property. Encapsulating the CALA ‘Light and Space’ philosophy, the airy feel of the kitchen area creates a contemporary and clean space for new homebuyers to live and enjoy. Lightness and softly breathable colours create a modern approach to family living while retaining a sense of luxury. A slick kitchen island maximises space while leading directly to the dining area – creating a streamlined Scandinavian-style core to the home. A cosy family hub is differentiated using a mix of geometric wallcoverings and a soft corner sofa with accents of grey and blue. Dual aspect windows and bi-fold doors leading to the garden area allows light to flood the room. The master bedroom within the property is a haven for relaxation – perfect for escaping busy family life. Rich creams and oak-style furniture creates a boudoir feel, complemented by a large oak sleigh bed and coordinated side tables. Layers of textured bedding and sumptuous drapes add a heavenly quality to the room. 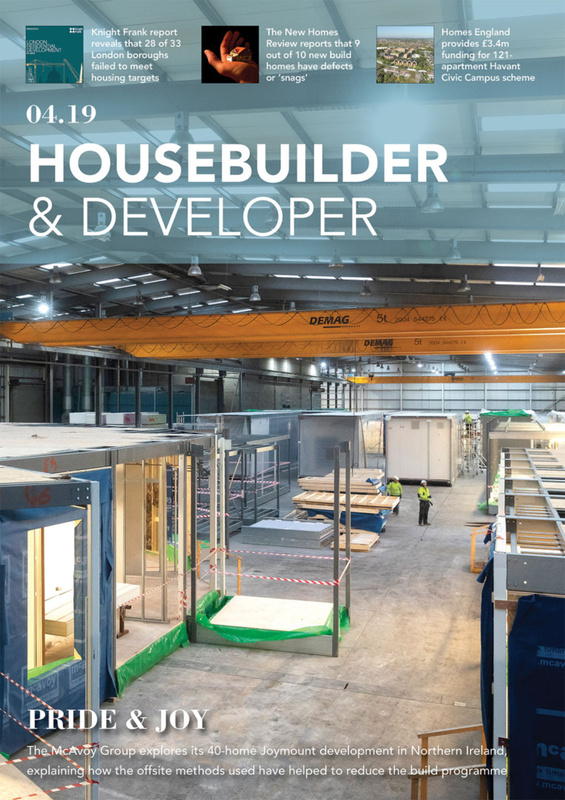 Fraser Carr, sales and marketing director for CALA Homes (North), said: “Both The Moncrief and The Lowther show homes are a fantastic showcase for Milltimber Manor at Oldfold Village. “The interior design within each property retains elements of classic CALA design and quality, but with a much more contemporary edge that really reflects the development itself and the CALA Light and Space theme.